These days, whether we sign with a big publisher, a small press, or self-publish, we bear much of the responsibility for launching our own books. And it’s hard work. If you wait to plan your book launch until your book is out, you’re toast. Plan ahead. Start six months before you are to publish. Research, and consider elements of a book launch you will utilize. Social media is a marketing ocean. You’ve got Facebook, Twitter, Pinterest, Instagram … Where do you spend your time online? How can you introduce your book in those venues? With Amazon stomping on the book industry, it is a mistake not to market online. Is a book party right for you? I’m hosting a party at a bar down the street from my house. I’m doing it on a Monday (because the venue is free then), providing appetizers, and using evites and Facebook events to publicize. Extra tip: Don’t call your gathering a book signing. Call it a book party. Who doesn’t love a good party? Not everyone is excited to hear about your book all day every day. Post about your book (especially on your Author Fan Page–don’t have one? Um, get going), but don’t post several times a day. It just makes you look full of yourself. The trick is fun, cool content, and looking like you’re not trying that hard even when you are. In an effort to build buzz about Sun Shine Down, I invited Facebook friends to join a super secret launch group. I offered perks for joining ( a free PDF advanced copy of the memoir, a thank you on the blog, access to a secret group, and interaction with the author) and requirements (help promote for five weeks, post about the book on your blog, etc.). My secret group has been the highlight of promotion so far. Why? Because relationships are being strengthened and we are having fun! 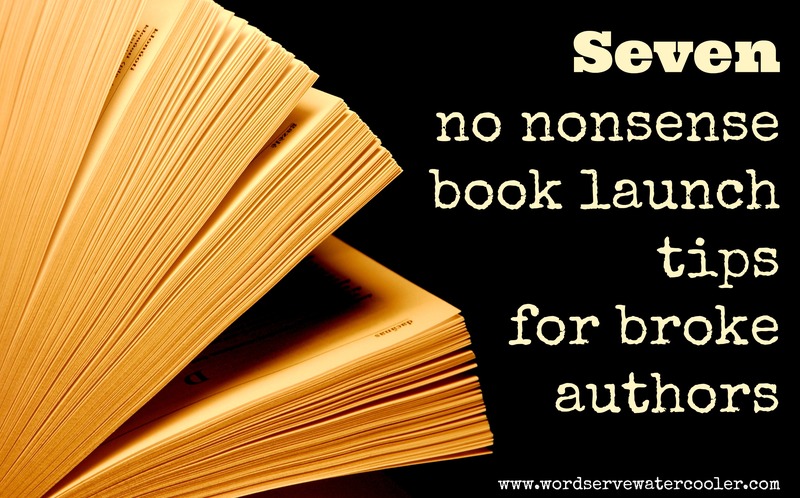 It is also a great way to ensure Amazon reviews once the book is published (make it a requirement). Read this post to see how I did it. OK, I know that I sound like I am contradicting myself. But next time (God willing), I will hire someone or ask a friend to assist with some promotion. I’m talking about someone to help with a couple time consuming tasks and who is affordable (as opposed to a publicist who would do everything and is expensive). I’m talking a flat rate per month to run a blog tour or help with the launch group. I’d like not to have that pressure, and I am finding out with this book that there are virtual assistants and others who could fit this description. *Note: I LOVE publicists, so If I get to that point in my career when I can hire one, I probably will. I simply created a new Gmail account with the name of my book and merged it with my current email account so that when I send out press releases and other book emails, it looks official (instead of the author sending them, which she is 🙂 ). This is my Eeyore personality coming out, but I suggest you set your expectations low. Then you’ll be pleasantly surprised when something remarkable happens. Not an Eeyore? More a Tigger? OK, then expect like crazy. We are all different. In my experience, though, the people I thought would help publicize and raise excitement about Sun Shine Down haven’t. I did have one or two wild cards, individuals I knew for a short time long ago who have become cheerleaders and promoters complete with pom- poms and cardboard signs. Here’s to successful book launches, and to many more hours with our butts in chairs, getting books written so that we can, gasp, go through the nonsense of launching again and again! This entry was posted in Marketing and Promotion, Memoir, Non-fiction, Publishing, Writer's Life, Writing and tagged book launch for broke authors, Gillian Marchenko, marketing, Marketing and Promotion, memoir, successful book launch, Sun Shine Down by Gillian Marchenko. Bookmark the permalink. I like the idea of a Facebook team. Thanks! Yes the FB launch has been fab. Have a good day! If you need any more cheerleaders, let me know. I’d love to have you on my blog LivingtheBodyofChrist.Blogspot.com. I love stories about how God uses all sorts of people in The Body. I am also the mother of a special needs child. That would be wonderful! Email me at gillianmarchenko@gmail.com. Thanks! Thanks for timely (for me) tips. Great! The Facebook team is something to think about. I don’t have a big following on my Page, but have tons of friends and family on Facebook. Perhaps a call for a little help would be in order. Thanks for writing this. I am getting ready for a no budget book launch, so free is good. Free, at this point, is my only option. I’m enjoying the challenge, though. Totally an Eeyore here but so far I’ve been pleasantly surprised with my early launch efforts. I totally agree–announcing months ahead of time allows your book to build buzz. I utilized pinnable quotes from my Viking historical so people could get both a visual AND a word-flavor of the story to come, and I also released the cover art and blurb early on Goodreads so people could keep up with the novel there. Also, early readers are the bomb, and a lovely way to get endorsements, even for a self-pubbed book. Thank goodness launching no longer has to cost beaucoups bucks for the debut author, in this internet age! A book launch team didn’t work very well for me. Not sure what I did wrong. It wasn’t FB based. Sorry; in my Eeyore mood today.